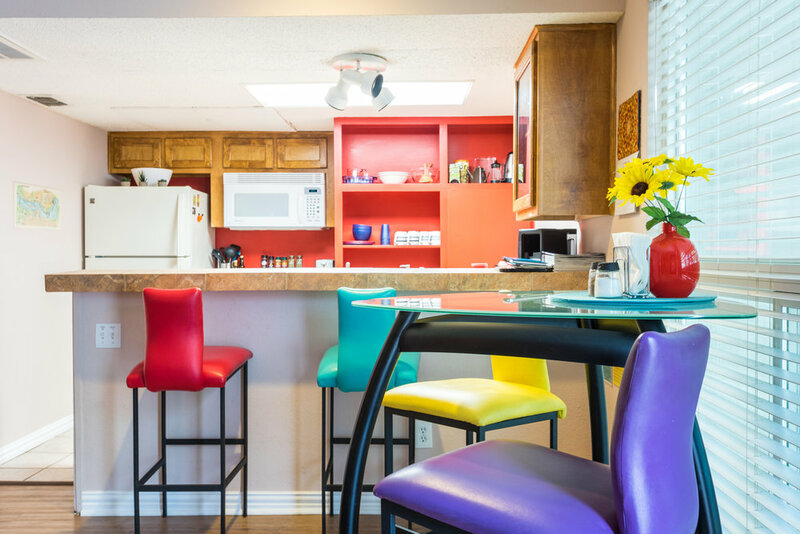 The Studio is our most economical unit, renting at only $109 per night during the week. 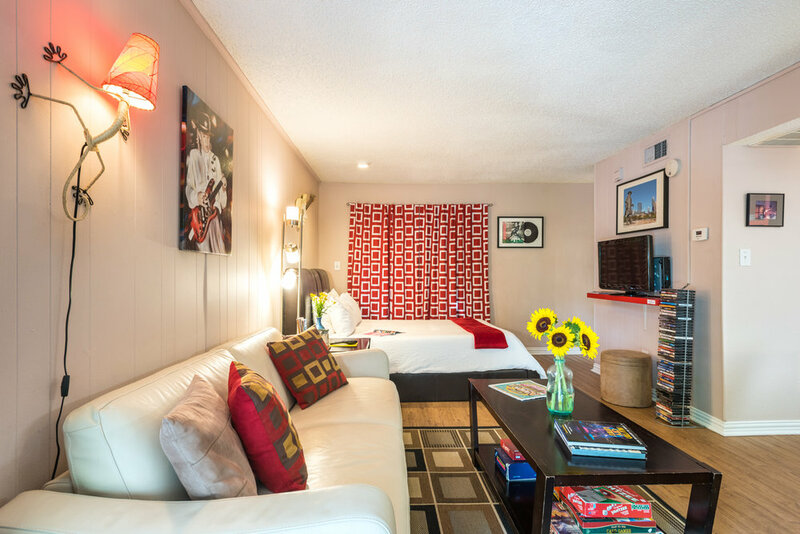 You can enjoy all the perks of being near Zilker Park for less than you’ll find any decent hotel in the area. 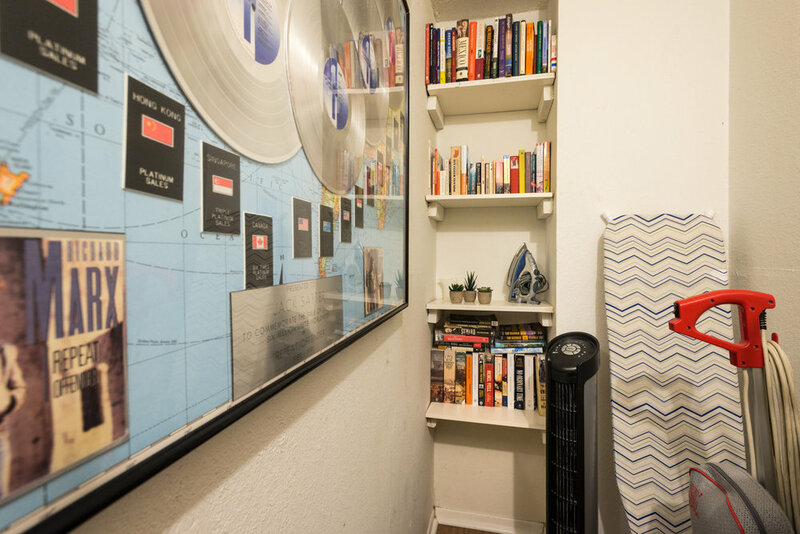 This studio is on the lower floor and is the perfect place for a couple looking for a get-away, an extended stay for a work contract, or pull the full-size couch-bed out and squeeze four people in for a weekend out on the town. The “James Bond” queen bed is the perfect place to sit up and watch a movie, or work on your laptop while your drink sits safely in the fold-down cup holder! Recently added tempurpedic mattress! 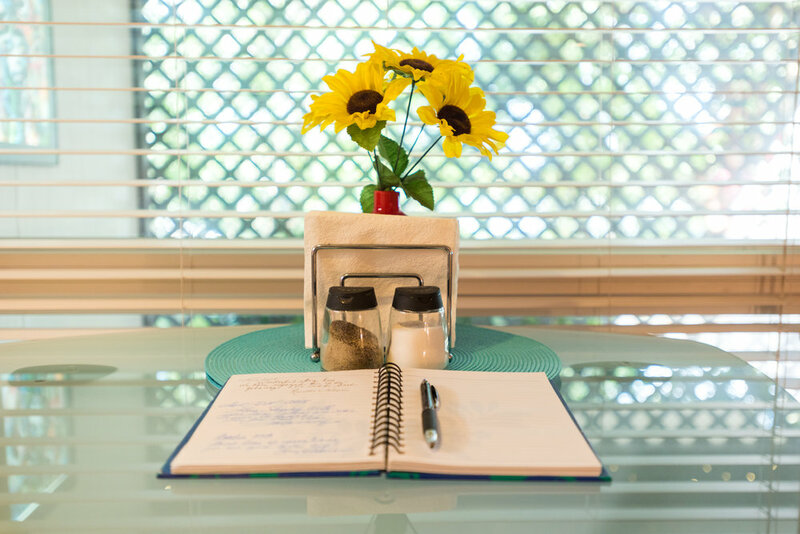 The front patio has a table with 4 chairs and is a perfect place to enjoy your morning coffee in the fresh air. 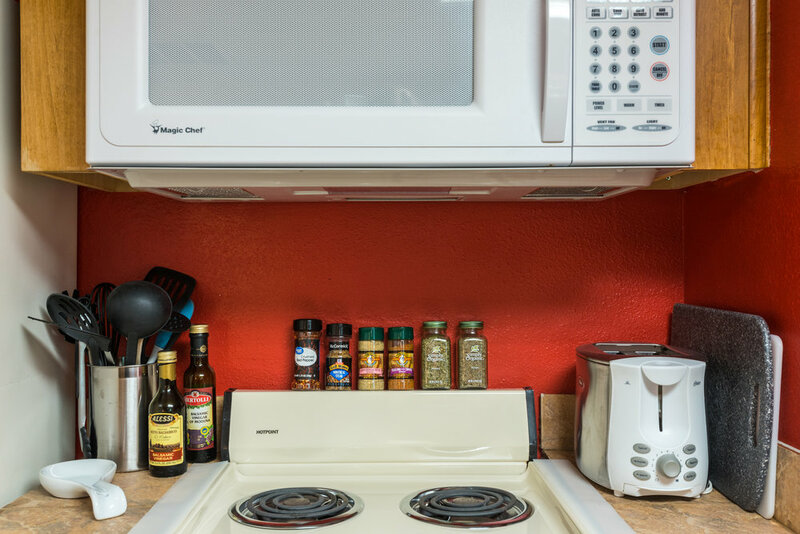 The kitchen is fully furnished with all the essentials so you can cook in if you’re not busy sampling all the great restaurants in Austin. Other amenities include: bar and table seating for up to 4, iron and ironing board, hair dryer, 32” HD TV with full cable, BluRay DVD player and library, board games, shampoo, conditioner, body wash, lotion (all Whole Foods Brand), make-up wipes and other basic bathroom essentials and 4 sets of towels including beach towels for Barton Springs Pool. extra linens available on request. There is a free laundry room just outside the front door if you need.